Looks delicious, doesn’t it? 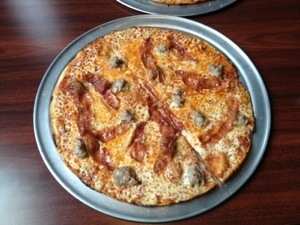 Say hello to Colony Grill’s bacon and sausage pizza! 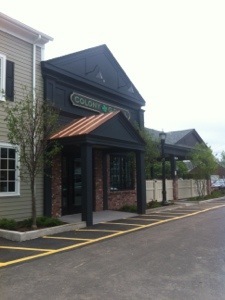 Colony Grill, Milford is now open and serving their famous thin crust pizza! 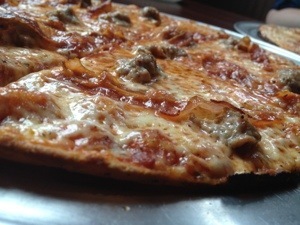 We went down for lunch the other day to give it a try, and the Milford location delivers the atmosphere and quality pizza you expect to find at Colony Grill. 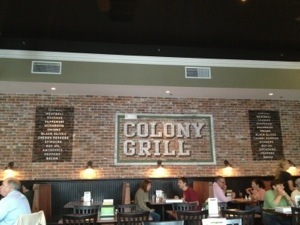 Aside from a very thin crust pizza, Colony is also known for having only pizza on the menu. 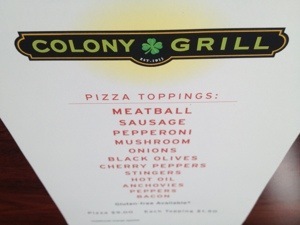 Colony’s pizzas come in one size, which I would describe as a little bigger than a typical small pie and a little smaller than a medium pie elsewhere. 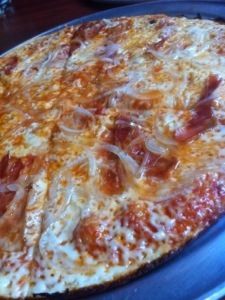 Our other pizza was a bacon onion, my favorite combo to order at Colony Grill. Now, I’m a pizza crust person all the way, but there is something about how very thin and light Colony’s pizza is that you must give it a try. 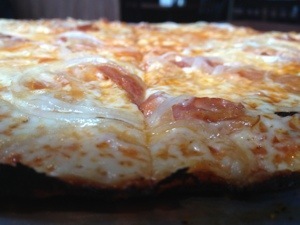 The pizza is light, cheesy, a little greasy (the amount of greasy you want in your pizza), and entirely foldable for all you slice folders out there. 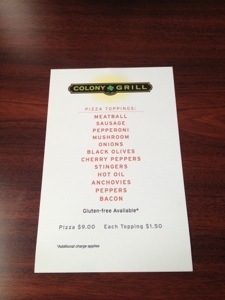 And, for all my gluten-free friends, I’m excited to say that Colony offers gluten free pizza! 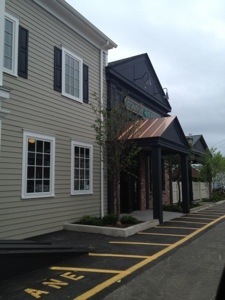 Located in the former Harrison’s Hardware Building at 36 Broad Street on the Milford Green in Downtown Milford. 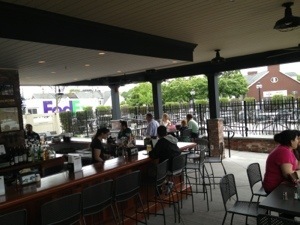 Colony’s newest location is rather large (it took the three pictures to really capture the whole size of the restaurant) and also boasts a large outdoor seating area with an outdoor bar. 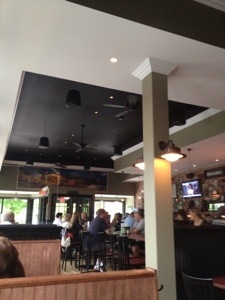 While I have not visited Colony Grill, Stamford yet, the decor of Colony, Milford is very similar to the Fairfield location with neutral colored walls, a large wood bar, and an interior brick wall with the menu painted on it. 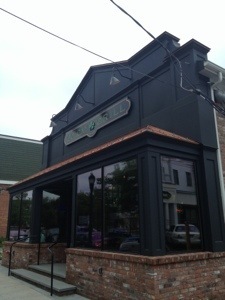 Most importantly, in my opinion, aside from the great food is the historical decor hung on the walls in honor of the town. 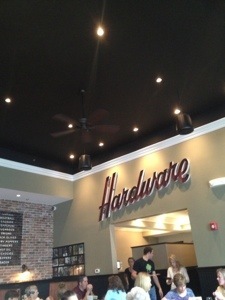 The old Harrison Hardware sign is a very thoughtful way to acknowledge the history of both the building and the town of Milford, and my favorite part of the decor. 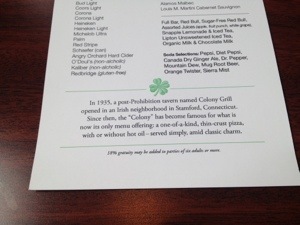 And, for all the history buffs out there, did you know Colony Grill, Stamford opened its doors not long after the end of Prohibition? This little history tidbit is printed on the back of all the menus. 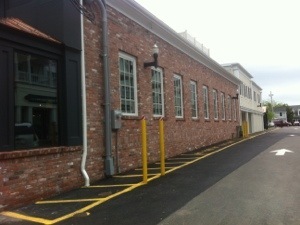 The separate side entrance for take-out. 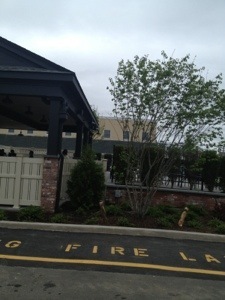 A side view of the large outdoor seating area. 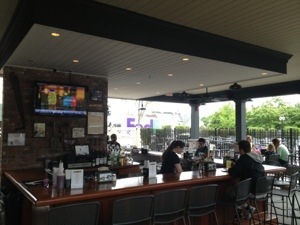 I cannot wait to try out Colony’s great outdoor space when the weather is a little warmer! 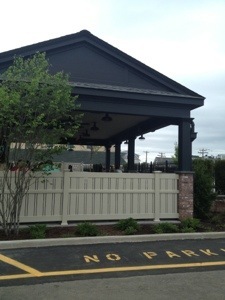 Head over and give Colony Grill, Milford a try, they’re open daily from 11:30am until close!